Redrix’s Claymore is one of the most desirable weapons in Destiny 2 – under the right circumstances, it can kill faster in PvP than any other gun that isn’t a power weapon. It’s the reward for the massive grind of hitting Glory rank three (‘Fabled’) in Crucible, and it’s going away when the season resets next month. All that means players have been trying very hard to get the gun, to the point of paying hundreds of dollars to make it happen. The Legendary Pulse Rifle is so sought-after largely because of the combo of the Outlaw and Desperado perks. Outlaw reduces your reload time after a precision kill, and Desperado boosts your rate-of-fire if you reload with Outlaw in effect. 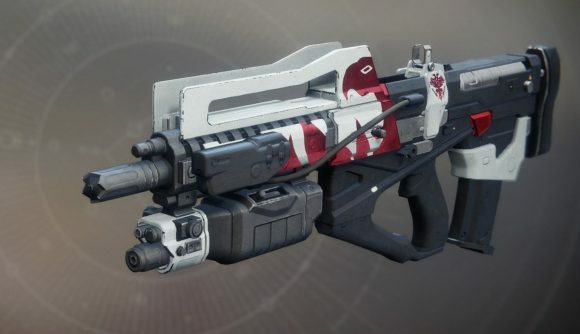 Destiny 2’s weapons are grouped into archetypes with their DPS balanced across fire rate and damage-per-bullet, so when Desperado is active, the Claymore’s DPS is pushed beyond that curve. This is what makes the gun sound so tempting in theory, but it’s worth noting you still have to score an initial kill under usual circumstances so as to trigger Outlaw. Only then will follow-up kills benefit from Desperado. Exactly what it takes to reach Fabled rank is a bit shaky, since the rate Glory accumulates varies based on win and loss streaks. Players have done the math, with one estimate suggesting it could take as many as 440 games to get the Claymore if you’ve got a 50/50 win/loss record. Bungie has confirmed only 8,750 players have earned the weapon. The hundreds of hours required to get Redrix’s Claymore are too much for some players, though – so they’re paying other people to earn instead. Services like Epic Carry will let you pay a team of grinders to to get the gun for the low, low price of $349 USD – maybe a bit pricey for a digital weapon, but compare the hours to get it versus a typical minimum wage, and it works out pretty well. Of course, paying for account boosters is against the terms of service for nearly any online game, and providing your account details to third-party sites is likely a swift road to a ban for cheating. That would leave you getting about as much use of the Claymore as if you had never gotten it at all. A big gamble if you want to pay past the grind – by which I actually mean ‘cheat.’ You don’t want to cheat. The difficulty of getting Redrix’s Claymore is intentional, though the folks at Bungie intend to bring down the time requirement for top level rewards in future seasons, as multiplayer designer Kevin Yanes notes on Twitter. As we’re closing in on the Destiny 2: Forsaken release date, we’ll likely start to hear more about these kinds of changes soon.